I am grateful for the unexpected. Dear friends brought this Christmas cactus to our house two winters ago. It bloomed last Thanksgiving, surprising us (because it’s called a Christmas cactus). And then, much to our delight, we noticed the buds turning hot pink the first week of April. 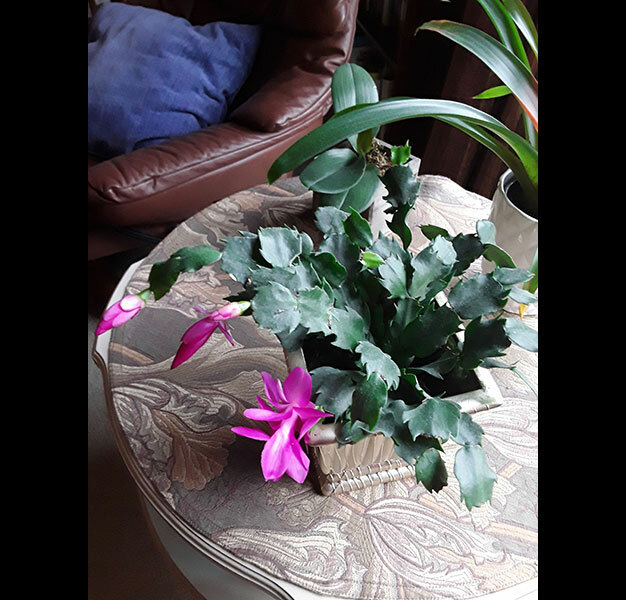 Now it is a Christmas, Thanksgiving, and Thank-You-for-Spring Cactus. Yes, yes! We’ve had ours (in California) for more than a decade…it bursts into a flame of flowers unexpectedly…always a gift.